A slow-burning literary mystery about a 13-year-old girl’s disappearance from a small English village, and the effect it has on the people of the village in the years that follow. Reservoir 13 isn’t simply an iteration of the usual story, however: it’s a fascinating exploration of it. McGregor is a writer with extraordinary control, and he uses the power of the archetype as well as our genre expectations for his own purposes ... And then as our expectations are strained to the limit, we begin to realise that the writer is deflecting them into something else, taking us into another kind of novel altogether. What actually fills up the pages, fills up narrative time while we wait to find the girl, is an omniscient narration moving easily around and inside a whole collective of protagonists in the village and following them through their daily lives, none of them dominating the story space ... The characters we watch are all warm enough, sentient human beings, prone to needing and wanting and mostly failing one another. But the eye of the story keeps its remote omniscient distance; it’s a cold camera-eye, or the eye of a hawk circling above the village, assembling everything impartially, not taking sides ... Reservoir 13 is an enthralling and brilliant investigation of disturbing elements embedded deeply in our story tradition. To hear about such events is to want to be involved in them, but the dull horror of McGregor’s quietly triumphant novel Reservoir 13 depends on this desire for involvement never being quite satisfied ... Like Virginia Woolf’s The Waves, this is a novel of voices. The third-person narrative moves between characters seamlessly, sometimes in mid-paragraph, as they talk to and observe one another. The narrative voice is a collective one: the chorus of the community, the apparent disinterest of which is undercut by a nagging judgmentalism ... McGregor’s use of free indirect style is masterful. His method implies that our thoughts are never really our own, and that we only very rarely admit to all the things that are going on in our minds ... Reservoir 13 is written against that most superficial of psychological and fictional crutches — the idea of 'closure' — and is all the better for it. It is an extraordinary novel of threads left unwoven. McGregor delicately labors to show with what terrifying ease the quick pulse of life displaces the lost signal of death. Life grows over death, quite literally; the dead are at our mercy...nature has its own ceaseless life rhythms, and it is in McGregor’s incantatory, lingering account of the annual rise and fall that his book achieves a visionary power ... All this risks making McGregor seem a more ethereal novelist than he is. He understands that the novel is fed by fact and social detail, by human beings and their foolish motives—the mulch of the actual. His work is significant, and often surprising, because he wants to mix the mundane and the visionary, and because his books don’t settle down into conventional forms ... The word 'collage' implies something static and finally fixed, but the beauty of Reservoir 13 is in fact rhythmic, musical, ceaselessly contrapuntal. 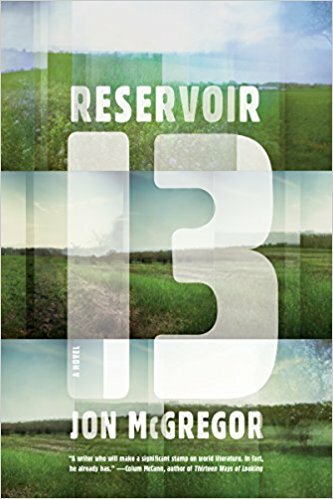 What did you think of Reservoir 13?